To develop microbial production method for prenyl alcohols (e.g., (E,E)-farnesol (FOH), (E)-nerolidol (NOH), and (E,E,E)-geranylgeraniol (GGOH)), the genes encoding enzymes in the mevalonate and prenyl diphosphate pathways were overexpressed in Saccharomyces cerevisiae, and the resultant transformants were evaluated as to the production of these alcohols. Overexpression of the gene encoding hydroxymethylglutaryl (HMG)-CoA reductase was most effective among the genes tested. 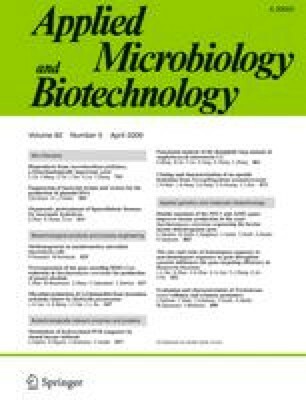 A derivative of S. cerevisiae ATCC 200589, which was selected through screening, was found to be the most suitable host for the production. On cultivation of the resultant transformant, in which the HMG-CoA reductase gene was overexpressed, in a 5-liter bench-scale jar fermenter for 7 d, the production of FOH, NOH, and GGOH reached 145.7, 98.8, and 2.46 mg/l, respectively. We thank Ms. Chiharu Kato and Ms. Yoshie Tsukahara for their technical assistance.